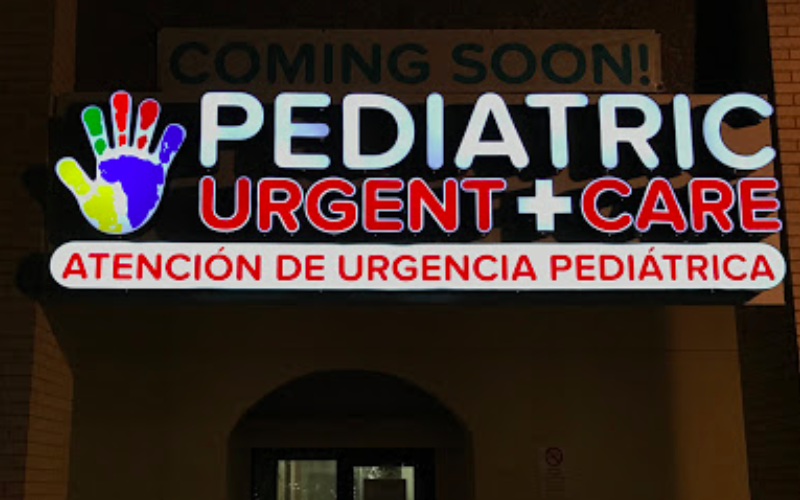 Pediatric Urgent Care of Fort Worth, La Gran is a pediatric urgent care center serving the children, adolescents and young adults in Fort Worth with extended hours, making them a great option 5 days a week when your child's primary care office may not be open. You can find this clinic located at 4200 South Fwy, Suite 100 and patients can walk in to see them today from 11:00am to 7:00pm (last verified on 2018-08-29). Recognized favorably amongst their patients, Pediatric Urgent Care of Fort Worth, La Gran has an average rating of 5.0 stars out of 5 based on 877 total ratings. Nationally, most pediatric urgent care patients see average wait times between 15-30 minutes before being seen by a provider, which should be expected at Pediatric Urgent Care of Fort Worth, La Gran as well. As part of the group, they have a in miles away that you may want to consider if the wait gets too long. The base price for an office visit at Pediatric Urgent Care of Fort Worth is $75 with additional services being an extra charge. Patients typically pay between $20 - $75 for common services. Pediatric Urgent Care of Fort Worth accepts many major insurance plans and multiple forms of payment, making it easier to get the affordable care you need. It is always a good idea to contact your insurance company before your visit to ensure the Clinicis in network for the service(s) you're seeking. The staff and Drs are really friendly. I like that the Dr explained everything well and made sure I understood everything. Leslie Alvarez is amazing! She exceeded my expectations in the way that she shows concern and cares for her patients! Very genuine & informative. Keep up the good work! Our first time and we will definitely be back! Por ser primera ves que fui, me agrado la atencion a si mis niñas. La doctora es muy amable. Y el lugar esta limpio. I always have such a great experience. I love the staff! My experience was great! Will be returning in the future.